Bringing cheer to homebuyers, the nation's largest lender State Bank of India has said that it has decided to extend its 8% special home loan scheme, under what are popularly known as ‘teaser rates’, till 30th April, reports PTI. 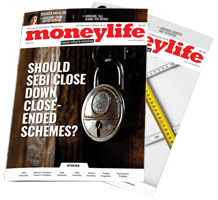 The decision comes despite the Reserve Bank of India (RBI) repeatedly expressing its displeasure over teaser rates, saying that it is unfair to existing borrowers, and most other lenders deciding to discontinue the scheme from this month end. Those who avail of home loans till 30th April can get the 8% special fixed rate in the first year, and 9% in the second and third years of the loan, a top SBI official told PTI. The scheme was initially supposed to end by 31st March. “We have decided to extend the special home loan scheme till 30th April. This is primarily because of the huge customer demand and popularity of the scheme,” the official said, who wished to be unidentified. Under the extended offer, customers can avail of the benefit irrespective of the loan amount, the official said, adding after the offer period (30th April) the rate will go back to a floating rate. SBI had initially launched these products last August for a limited period of three months, but later extended it till 31 March 2010 following huge customer demand. The State-run banking behemoth has decided to go ahead with the scheme at a time when all other banks, which had initially launched the scheme, chose to withdraw it after the RBI expressed its disapproval over these loans and attributed them to drying up of liquidity in the system. 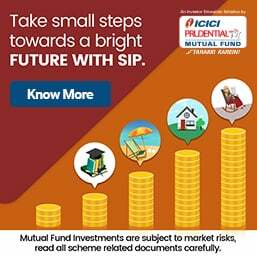 Leading private sector lenders like ICICI Bank, Axis Bank, and Kotak Mahindra Bank and State-run banks like Bank of India, Corporation Bank, Vijaya Bank, and Union Bank of India among others, have already announced their decision to withdraw their special cheap home loan schemes from this month end. The largest mortgage lender HDFC has also discontinued the scheme. Under the original scheme—My Home Campaign—SBI offered an 8% fixed interest rate for five years for loans up to Rs5 lakh, with a maximum tenure of 10 years. For loans above Rs5 lakh and up to Rs50 lakh, it offered a fixed rate of 8% during the first year and 8.5% during the second and third years. Equity analyst Teun Draaisma is one of the few investors who actually got the downturn and the upturn correct. In his latest strategy note Draaisma is saying that the rally has gotten ahead of itself and that we’re due for a correction. Like there’s ‘good’ cholesterol and ‘bad’ cholesterol, there are some ‘good’ and ‘bad’ debts. A few tips on how to diagnose your financial situation.